WASHINGTON, Sept. 30, 2008 – A Defense Department registry is helping officials gather data to be sure the long-accepted practice of leaving embedded metal fragments in wounded warriors’ bodies as long as vital organs aren’t threatened is valid. The Armed Forces Institute of Pathology created the Embedded Metal Fragments Registry in December. To date, the registry deals only with wounded servicemembers from Operations Iraqi and Enduring Freedom. The military’s interest in the effects of embedded metal fragments began in the early 1990s after Gulf War veterans reported health concerns, Kilpatrick said. During the Gulf War, servicemembers used munitions made with depleted uranium. The military had studied the effects of firing munitions made from depleted uranium, but not the effects of being hit with them. Several servicemembers were hit with these munitions in combat accidents, and looked to the depleted uranium as a possible cause of illnesses Gulf War veterans were reporting. But research that began in the mid-1990s hasn’t revealed any cause for concern that depleted uranium fragments were causing harm to those harboring them. The new registry’s aim is to look at the effects of embedded metal fragments over the long term. To date, the registry has looked at 400 to 500 fragments to determine their makeup. Those who have had fragments removed and sent to the registry but still live with unrecoverable fragments will become part of a database, Kilpatrick said. Administrators will use medical records created when servicemembers were injured in blasts and subsequent medical records to add to that database, Kilpatrick said. This information will be shared with the Veterans Affairs health care system, because the intention of the registry is to follow the veterans for the rest of their lives, he said. Earlier records, including those from the very start of the conflicts in Iraq and Afghanistan, aren’t in electronic format and therefore are more difficult to use for the registry, he said. The registry holds promise on many fronts, Kilpatrick said. It has the potential to help the military spot trends and track down potential causes of illnesses, and it could lead to new tests that would determine the type of metal and its concentration in an individual. It also will help the military keep tabs on the enemy. So far, Kilpatrick said, the catalogued metal fragments don’t show anything unusual. The whole aim of the program, he said, is to be able to care for servicemembers properly and give them some peace of mind that the fragments they carry shouldn’t cause any problems. BAGRAM AIRFIELD, Afghanistan, Sept. 29, 2008 – People in the smaller villages of southern Afghanistan have limited or no electricity. Though rows of power lines stretch for miles across the desolate sands of the region, only residents of major cities have electrical power. U.S. forces joined with Afghan forces and NATO’s International Security Assistance Force last month in an operation officials expect will lead to the eventual establishment of power for the smaller communities. The combined forces transported a new turbine more than 100 miles across southern Afghanistan to the Kajaki dam in Helmand province. On Aug. 28, soldiers with 2nd Battalion, 2nd Infantry Regiment, escorted the turbine as it passed through their area of operations. The light infantry unit cleared a path and secured about a 20-mile vicinity, enabling safe travel. The vast open area presented a challenge for the light infantrymen, who began operations in the district just months ago. “We’re still not sure what villages are pro-ISAF or pro-Taliban, or where some of the areas along the route are worse than the others,” Army Capt. Trevor Voelkel, commander of the battalion’s Company C, said. To familiarize themselves with the area, the soldiers in Voelkel’s company went out to perform reconnaissance just a couple of days prior to the operation. When they reached a certain portion of the district, Voelkel said, they were attacked by rockets twice within an hour. To alleviate unnecessary risks on the day of the operation, Kiowa and Apache helicopters circled the district, providing air support to the combined convoy. Soldiers from the 1st Infantry Division shadowed the convoy for about 10 hours, encountering only one incoming rocket round, which landed north of their perimeter. As the convoy departed from the district, soldiers transferred responsibility to Task Force Helmand, which led the convoy the rest of the way. Despite Taliban attempts to deter the operation, the turbine safely arrived to the Kajaki Dam on Sept. 2. There, engineers would begin the construction process to provide electricity for the remote areas of Afghanistan. WASHINGTON, Sept. 29, 2008 – Coalition and Afghan forces killed several insurgents during weekend patrols in southern Afghanistan, military officials reported. Insurgents have fired on coalition and Afghan troops in the past three days of patrols through Helmand, Kandahar and Zabol provinces, officials said. No coalition or Afghan casualties were reported from the engagements. The troops killed an undetermined number of insurgents yesterday after being fired upon while searching a remote compound in Kandahar province’s Maywand district where insurgent activities were suspected, officials said. During the search, soldiers saw a group of insurgents placing a homemade bomb alongside a road. The troops fired on the insurgents, killing two. Coalition and Afghan forces then received small-arms fire from a nearby fighting position. They returned fire on the enemy position, killing one attacker, officials said. A cache of more than 1,000 small-arms rounds was confiscated during the search. On Sept. 27, Afghan and coalition forces killed several insurgents during a security patrol in Helmand province’s Nahr Surkh district. Insurgents engaged the patrol with small-arms fire and rocket-propelled grenades. Coalition and Afghan troops fired back with small arms and heavy weapons, killing several insurgents. During a Sept. 26 security patrol in Zabul province’s Arghandab district, coalition and Afghan forces responded to insurgent small-arms fire and rocket-propelled grenades with small arms and heavy weapons, killing two insurgents. 30 Sep. - General David D. McKiernan, ISAF Commander, recently visited Regional Command West. He was greeted by Brig. Gen. Francesco Arena, RC-West Commander and Colonel Pedro Rolan, Provincial Reconstruction Team commander. During his visit, the COMISAF received briefings on upcoming projects being developed by the Spanish-led PRT for the Badghis province, as well as other projects in the region. Also during his trip to RC-West, COMISAF met with the Shura of Bala Morghab and to further discuss key projects being developed for the district, to promote and ensure the future and stability for the people of Afghanistan. 29 Sep. - ISAF shot a civilian who approached too close to a patrol and failed to stop when directed in Sangin district, Helmand, September 29. The individual subsequently died of their wounds. When the patrol noticed a man approaching, soldiers signalled to warn him to stop as he drew closer. When he failed to stop and continued to approach, a soldier issued a verbal warning then fired two shots further warning him to back away. He failed to react to either and, fearing a suicide bomber, the soldier then fired one aimed shot that killed the man. The loss of innocent lives is a tragedy and ISAF seeks at all times to avoid civilian casualties. ISAF acknowledges that this was an unfortunate incident and offers condolences to the family of the person killed. ISAF wishes to remind everyone not to approach convoys or patrols, especially rapidly, when signalled to stop. Failing to stop may be considered a hostile advance on the convoy or patrol. 29 Sep. - Afghan and ISAF forces captured a senior Taliban leader in Uruzgan on September 22. Prior to his capture, Ahmad Shah was a Taliban leader involved in the planning and execution of attacks against Afghan National Army and ISAF soldiers. In addition, he commanded about 50 fighters who operated in civilian-populated rural areas of the province. “Ahmad Shah’s capture will significantly disrupt Taliban extremist efforts to conduct actions in Uruzgan. This is particularly positive because Shah was a lynchpin in operations that have killed civilians in the past,” said Brigadier General Richard Blanchette, ISAF spokesperson. No civilians, ANA soldiers or ISAF soldiers were wounded in the operation. With the assistance of the ANA, ISAF conducted the operation at the request of the Afghan government. “ISAF is proud to help make Afghanistan a safer place for the Afghan people,” Brigadier General Blanchette added. 29 Sep. - The Afghan National Police and ISAF were conducting a joint patrol when they suffered an IED strike in Paktia September 28 during which no one was injured. The patrol was engaged with small arms fire, and seven civilians were apprehended for questioning after testing positive for explosive residue. The detained civilians were then transferred to the ANP station at the Jaji District Centre. While at the district centre, there was an altercation during which an ANP officer and one ISAF soldier were killed. The death of the ISAF soldier was first released September 28 as “ISAF soldier killed in eastern Afghanistan”. YARMINJAH — Kids, kids, please! No pushing, shoving or fighting. Stand one behind the other, exclaimed an interpreter with 3rd Battalion, 5th Brigade, 2nd Iraqi Army Division. Ordinarily, this is a phrase young children would hear while in school. However, the children of Yarminjah, a village located in the southeastern region of Mosul, Iraq had a reason to gather with anticipation and excitement. As Ramadan continues to wind down and a new school year quickly approaches, the 3-5-2 IA delivered school supplies and hygiene items to the children of Yarminjah, Sept. 27, 2008. The 3-5-2 IA distributed more than 200 boxes of goods. The majority of the boxes were donated by the Church of Latter-day Saints. The 3-5-2 MiTT assisted the IA in collecting the boxes. Also the MiTT provided security to allow the IA to fully concentrate on passing out goods to the growing crowd. Although coalition force Soldiers play vital roles in security when it comes to some of the IA lead mission, one Soldier’s family took interest in helping the villagers. The 3-5-2 MiTT usually fills a supervisory role and provides extra security for the 3-5-2 IA, however, sometimes some operations mean a little more. “It’s a great feeling, it’s about compassion and love here at this point,” said Sgt. 1st Class Christopher Benford, non-commissioned officer in charge as well as fires and effects sergeant for 3-5-2 MiTT. As the last box is overturned and the last packaged is given to the last child, the IA and MiTT can leave Yarminjah in a better state and a little more prepared for school. TAJI — The Iraqi Air Force training school held a combined Warrant Officer graduation ceremony on Sept. 29, 2008. 291 Airmen completed courses in Basic Military Training and Basic Technical Training at the Air Force Training School, and Communications Training from the Iraqi Army signal school. HADITHA DAM — It may not look like much, but a recent construction project has saved the occupants of Haditha Dam from drought and back-breaking labor. In June, the Marines of Haditha Dam’s Forward Logistics Element created a small pier to combat the constant rise and fall of the water levels in the dam’s reservoir. BAGHDAD — Task Force 134 Detainee Operations, in its continuous effort to fairly release rehabilitated detainees from the population, has released over 14,150 detainees so far this year. A significant number of the total released for the year happened during the holy month of Ramadan. As of the end of the fourth week of Ramadan, 2,404 detainees have been returned to their families and communities in recognition that they no longer pose a threat to Iraqis. Pfc. Jamel A. Bryant, 22, of Belleville, Ill., died Sept. 27 in Baghdad, Iraq, of injuries sustained in a vehicle accident while on patrol in Wahida, Iraq. He was assigned to the 40th Engineer Battalion, 2nd Brigade Combat Team, 1st Armored Division, Baumholder, Germany. Sgt. William E. Hasenflu, 38, of Bradenton, Fla., died Sept. 28 in the Jaji District, Afghanistan, from wounds suffered when his unit was ambushed by enemy forces using small arms fire. He was assigned to the 1st Squadron, 61st Cavalry Regiment, 4th Brigade Combat Team, 101st Airborne Division (Air Assault), Fort Campbell, Ky. The list for Code Pink’s protest shenanigans go on and on here as well as wild stories of crazy things protesters do. As much as I would like to go on here and talk of these groups, there needs to be light shed on other groups, such as, Military Support groups. These groups are the backbone of our Military personnel and their family’s alike. is in trouble, do you think they will call for the National Guard, or the Marines they have so diligently attacked; since they do not welcome Americas Troops that protect their citizens and their freedoms? WASHINGTON, Sept. 26, 2008 – The oldest and largest group representing American cities has thrown its support behind an effort to recognize employers’ support of military members. The National League of Cities signed an Employer Support of the Guard and Reserve Statement of Support on Sept. 17. ESGR, a Defense Department group, works to promote understanding between employers and their military employees. It provides volunteers who offer mediation and education services to employers, Guard and reserve members and their families. The National League of Cities represents the interests of more than 18,000 cities, towns, and villages. It also provides information and support for those who are in leadership in municipal government. Frequent deployments make it challenging for municipalities to maintain the same level of public safety, Borut said. At the same time, municipalities recognize the importance of having highly-trained professionals in the military. “There is a balance,” he said. “For us, it’s valuable and important to be able to affirm the importance of this role and for municipalities to [be able to support] their employees who go off in their military duty. Military employment law – the Uniformed Services Employment and Re-employment Rights Act -- spells out what the government requires an employer to do. The league thinks public sector employers take it a step further and go out of their way to make sure families of deployed troops are supported as well, Borut said. Jim Rebholz, ESGR national chairman, held the National League of Cities up for praise. “Their members are in the forefront of mobilizations for war as well as natural disasters because a goodly portion of their members’ employees are first responders in their communities,” Rebholz said. “I think what it does is it sends a signal that the greater good of the country overshadows the temporary inconvenience employers have [when they] mobilize their Guard and reserve employees,” he said. The strain that mobilizing employees for military duty places on municipalities becomes especially apparent this time of year when mobilizations are on short notice because of natural disasters. “We are right in the height of a natural disaster season, it seems, [but] they are sacrificing by [working] overtime and adding staff to accommodate the Guard and reserve men and women who are leaving,” Rebholz said. “Their example should be a model for everybody across the country,” he continued. -- Continually recognize and support the country’s servicemembers and their families in peace, in crises and in war. ESGR is a supporter of America Supports You, a Defense Department program connecting citizens and companies with servicemembers and their families serving at home and abroad. Iraqi children applaud the opening of their newly remodeled school, Sept. 25, 2008, during a ribbon cutting ceremony signifying the start of a new school year in the central Radwaniyah community of the Rashid District in southern Baghdad. Photo by Capt. Mark Miller, 1st Brigade Combat Team, 4th Infantry Division Public Affairs. BAGHDAD — At the beginning of their school year, the kids of the Halwan school in Jari Village and Malaly school in Radwaniyah are not returning to the same schoolhouse they left before the summer break in southern Baghdad’s Rashid District. Multi-National Division – Baghdad Soldiers, partnered with Civil Affairs Soldiers and local Iraqi community leaders, worked to complete required renovations in time to re-open the schools as scheduled, Sept. 25. “The whole project had to be completed in less than six weeks,” explained Sgt. 1st Class Eric McCoy, non-commissioned officer in charge of the Civil Affairs team, assigned to the 404th Civil Affairs Bn., out of Fort Dix, N.J.
“The buildings have been re-faced, all of the electrical wires re-ran; a new generator has been installed, and the bathrooms were completely renovated as well,” added McCoy, who hails from Middletown, N.J.
At the first ribbon-cutting ceremony in Jari Village, a neighborhood in the Radwaniyah community, eager students and their satisfied teachers found newly renovated buildings with fresh paint, new desks, new roofing and three additional classrooms. “The community now has better resources thanks to the hard work of the Coalition forces and Iraqi contractors,” said Sheik Ayad, a local leader of the Radwaniyah District. Less than one hour later, a re-opening ceremony began for the Malaly school in the Radwaniyah community of Rashid. Capt. Christopher Johnson, a native of Topsfield, Mass., and is the executive officer for HHC, 4th Bn., 64th Armor Regt., spoke to the crowd of students, teachers, and local leaders. “This is the future of Iraq; it begins here with the children,” Johnson said as he reflected on his memories of the school when he first saw it only months ago. ERBIL — "Approximately 40,000 people will go from two hours of water every three days, to three or four hours of water every day," said Younnis Talib, project engineer in the Erbil resident office. A short distance from the Iraq/Iran border, the Sakran natural spring water flows into a recently constructed catchment, where a 5.5 mile pipeline carries it to a 450 cubic meter holding tank. PATROL BASE STONE — Sixty students graduated from the fourth and final Village of Hope training center rotation during a ceremony at Patrol Base Stone Sept. 25. “The Village of Hope was part of a civil service corps program that took Sons of Iraq (SoI) members from checkpoints and taught them useable trades that they can make a living with,” said Capt. Michael Askegren, 557th Expeditionary Red Horse Squadron officer-in-charge of Village of Hope. • This edition features a story on the integration of women into the Iraqi Police force. 9/26/2008 - RANDOLPH AIR FORCE BASE, Texas (AFPN) -- With the transition to the new Air Force Community Web site, www.afcommunity.af.mil, on Oct. 1, alternatives to the GI Mail service and Air Force Spouse forums and discussion boards previously available on the former "Air Force Crossroads" Web site are available on the Air Force Portal and Department of Defense family support resource sites www.militaryHOMEFRONT.dod.mil and www.militaryonesource.com. The AF Community site phases out the Air Force Crossroads.com-hosted site. "New Web security requirements, reduced funding, and the push to eliminate redundancy on military Web sites drove the move to the .mil-hosted Air Force Community site," said Eliza Nesmith, chief of Airman and Family Services at the Pentagon. "We understand the change to a new site can take some getting used to--the Crossroads site took many years to build up its user base--but I hope our spouses and Airmen who used Crossroads test drive the Air Force Community site to see how it meets their needs," said Chief Master Sgt. of the Air Force Rodney J. McKinley. The new site offers similar services and information as on Air Force Crossroads, except for hosting GI Mail email accounts. However, comparable services exist and are available to all interested users. The first option, through the Air Force Portal, allows Airmen to communicate with friends and family through the Instant Messenger tool. All Airmen can sponsor friends and family member accounts on the portal. Simply have the sponsor click on the "Sponsor friends and family" link on the front page of the portal, www.my.af.mil, to request an account. The Air Force Portal is accessible from any computer anywhere in the world once an account is established. The second option for GI Mail users is through the DoD's Military Homefront site's "Homefront Connections" link. Similar to popular social networking sites, anyone registered on the site can send private messages to other registered site members. To register, simply go to https://homefrontconnections.mhf.dod.mil and create an account. Once the account is established, select "Private messages" under the "Your Stuff" heading. Anyone can create an account, and the site is accessible from any computer, world-wide. For spouses who regularly used the AF Crossroads spouse discussion boards, the new location for the discussion boards is on the Military Homefront site as well. Go to https://homefrontconnections.mhf.dod.mil and click on "Air Force Spouse Network" on left-hand side under the "Communities" tab. You must have registered for an account to view. Also, the Military One source site offers over twenty different discussion boards for Total Force Airmen and families. Topics include everything from deployments, moving and education, to new military spouses, spouse employment and military shopping tips. Simply go to www.militaryonesource.com and under the "News and Community" tab on the left-hand side, click the Discussion Board link. Some newly-registered users on the Military Homefront site may receive what looks like an error message when linking to the Homefront Connections log-in page. Simply click on the middle option "Continue to this site," and the Homefront Connections home page will appear. Maintainers for the Military Homefront site are currently working to resolve this issue. "For those who regularly used the AF Crossroads site, we understand that this change is difficult. And for the spouses who regularly used the AF Crossroads spouse discussion boards, we realize that sense of community you've had will have to be rebuilt," said Ms. Nesmith. "We're open to your feedback and look forward to hearing your constructive ideas and suggestions." To provide suggestions and ideas about the new AF Community site, www.afcommunity.af.mil, click "Contact Us" at the bottom of the home page to send feedback. WASHINGTON, Sept. 28, 2008 – Coalition forces killed six militants and detained eight others in operations in Afghanistan’s Regional Command – East over the past two days. U.S. forces launched multiple operations to disrupt terrorist networks and deny them sanctuary. In Andar District, coalition forces targeted a Taliban commander who funded, coordinated and directed roadside bomb attacks against civilians, Afghan and coalition forces. Officials believe the man facilitates the flow of foreign fighters into the Khowst region of Afghanistan. The force detained one suspected militant during the operation. Coalition forces also targeted a Hakkani sub-commander responsible for planning and conducting roadside bomb attacks. As coalition forces entered the targeted compound, many militants fired on the troops. Coalition forces returned fire, killing one. The other militants ran out of the compound and began firing on the force, again. The troops engaged them with small-arms fire, killing two. A third militant was killed after engaging coalition forces from a firing position in an open field. Two civilians injured during the battle received treatment by coalition forces. A search of the buildings revealed a number of AK-47 assault rifles, other automatic weapons, dynamite, hand grenades and military style clothing. The items were destroyed to prevent future use. Seven suspected militants were detained during the operation. In Ghazni province, coalition forces killed two militants while targeting a Taliban commander known to facilitate the movement of foreign fighters into Afghanistan. A search yielded multiple grenades, blasting caps, rocket-propelled grenades and military style clothing. In Konar province, coalition forces came under heavy fire while searching a compound. Coalition forces called for close air support and returned fire killing two of the militants. 9/28/2008 - BAGRAM AIR FIELD, Afghanistan -- Coalition forces killed six armed militants and detained eight suspected militants during multiple operations in eastern Afghanistan to disrupt terrorist networks and deny them sanctuary, Saturday. In Andar District, Coalition forces targeted a Taliban commander known to resource, coordinate and direct IED attacks against civilians, the Government of Islamic Republic of Afghanistan and Coalition forces. He is also believed to facilitate the movement of foreign militant fighters into the Khowst region. The force detained one suspected militant during the operation. Coalition forces also targeted a Haqqani sub commander in Sabari District responsible for planning and conducting IED attacks. As Coalition forces entered the targeted compound, they were engaged by multiple armed militants. Coalition forces returned fire, killing one. The other militants exited the compound and began firing on the force, again. The force pursued the militants and engaged them with small-arms fire, killing two. A third militant was killed after engaging Coalition forces from a firing position in an open field. Two civilians injured during the battle received treatment by Coalition forces. An A-10A Thunderbolt II aircraft flys a mission during Operation Desert Storm. The aircraft is armed with AIM-9 Sidewinder missiles, AGM-65 Maverick missiles, and Mark 82 500-pound bombs. The A-10 continues to support valuable joint operations in Afghanistan and Iraq. 9/28/2008 - SOUTHWEST ASIA (AFPN) -- Coalition airpower integrated with coalition ground forces in Iraq and International Security Assistance Force in Afghanistan during operations Sept. 27, according to Combined Air and Space Operations Center officials here. In Afghanistan, an Air Force A-10 Thunderbolt IIs performed shows of force to deter insurgent activities in the vicinity of Bagram and near Asmar. The missions were reported a success by the JTACs. In the vicinity of Sangin, a Navy F/A-18F Super Hornet performed shows of force to provide armed aerial surveillance and to deter insurgent activities. The mission was declared a success by the JTACs. In the vicinity of Mazar E Sharif, Air Force A-10s performed shows of force to deter insurgent activities and fighting positions engaging coalition forces with small arms and indirect fire. The missions were reported a success by the JTACs. Coalition aircraft performed shows of force to deter enemy activities in the vicinity of Gereshk. A JTAC confirmed the missions successful. KABUL, Afghanistan - An ISAF soldier was killed in eastern Afghanistan September 28 in an insurgent attack. Arlington, Va., Sept. 26, 2008 – How do I file a Veterans Affairs claim? How do I get enrolled in the V.A. system and get an appointment? What’s the difference between the TRICARE Reserve Select and TRICARE Prime health plans? Retired Air Force Master Sgt. Jeff Unger, left, a Wisconsin National Guard transition assistance advisor. counsels Capt. Dan Hanson, his wife Jen, and their children Mitch, Jake, and Liz, at his office in Madison, April 4, 2007. Wisconsin Department of Military Affairs photo by Larry Sommers. These are just some of the questions asked by National Guard troops returning to civilian life from deployment. Retired Air Force Master Sgt. Jeffrey Unger, of the Wisconsin National Guard, is among those known as transition assistance advisors who help get them the answers. “If they go through the process, if they hit barriers or they incur challenges they don’t know how to address, they contact their TAA,” Unger said. Started in May 2005, the TAA program provides a professional in each of the 54 states and territories to serve as the statewide point of contact to assist troops in accessing Veterans Affairs benefits and healthcare services. Most advisors are like Unger: retired servicemembers or disabled veterans who have been through the benefits process and know what works and what doesn’t. Guard spouses also make up transition assistance ranks, said Alex Baird, the deputy surgeon for the bureau’s Warrior Support program, which manages the TAAs. All of them know the process so that Guard members can get the benefits they’re entitled, he said. The process starts with understanding what benefits can be received. TAAs help Guard members receive disability compensation, healthcare through TRICARE, Veterans Benefits Administration enrollment, education benefits and other entitlements. “You would be absolutely astounded as to how many veterans and their families do not understand what their benefits are or how to get access to them,” Baird said. Unger assisted the transition of Army Spc. Demond Love, a cannon crew member with Wisconsin’s 1st Brigade, 121st Field Artillery. Love’s vehicle was hit by a roadside bomb during an Iraq deployment. Back home, he was broadsided by questions. He was not. Thanks to the efforts of Unger and others, Love found a job and applied for V.A. benefits he wouldn’t have known about. The transition assistance didn’t stop there. Having been around the military for a while, the TAAs have knowledge and contacts that can help young citizen soldiers and airmen manage their careers. When Love wanted to transfer units, Unger made it happen with one phone call, Love said. TAA help is not limited to Guard members. Unger worked with an 84-year-old World War II veteran who faced large medical bills from multiple surgeries. He had injured himself falling out of a plane in 1944. Unger learned that the vet had never filed a service-connected disability claim with the VA, which would have entitled him to additional benefits. TAAs hone their skills through constant training. The monthly training is in the form of a conference call where the TAAs bring up problems to the group to be solved by others with the same experience or, in some cases, the VA representative. “Our monthly teleconferences are almost like a walking library,” said Unger. “Say [the problem] is home loans or life insurance or it’s the GI Bill or it’s a disability claim. For Unger, helping returning veterans is a fulfilling way to spend his retirement. 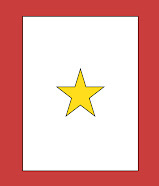 (Sgt. S. Patrick McCollum works at the National Guard Bureau). The original Purple Heart, designated as the Badge of Military Merit, was established by Gen. George Washington by order from his headquarters at Newburgh, N. Y., Aug. 7, 1782. Records indicate that the Purple Heart was awarded only three times during the Revolutionary War and was not awarded again until it was revived on Washington's 200th birthday, Feb. 22, 1932. Use of the Purple Heart for meritorious service was discontinued on Dec. 3, 1942 when the Legion of Merit was created. 8/8/2008 - BAGRAM AIR FIELD, Afghanistan -- There is a flurry of activity around the bed side. The Soldier, Sailor, Airman, or Marine is being cleaned up and covered the best they can be. Several of their comrades are present, along with their medical care givers and the ever-present chaplain. The commanding general walks in with a small group of Soldiers, the command sergeant major and aides. A conversation begins, if possible, between the commanding general and the wounded U.S. service member. Many times there is no two-way conversation because the patient has just come out of surgery or has a tube down his throat and is sedated because of the pain or the injury. Even if they are unconscious, he talks to them anyway, because sometimes even in that state they can remember hearing his voice. If he is able to, the wounded warrior tells his story - improvised explosive device blast, rocket propelled grenade attack, small arms fire, rooting out the bad guys in a building or cave, or shooting it out on a street or roadside. The general listens intently, comments on the action and tells the wounded warrior how the big picture turned out that day. Depending on the injury, the general asks about the wounded warrior's family. He makes small talk about their unit, or where they are from in the states, all the time trying to gage the emotional state of the wounded warrior. The command sergeant major tells them how they are going to get better and wonders when they will be able to lead their unit run or physical training. But what they both mostly see are broken bones with what looks like an erector set holding them together, tubes and bandages, shrapnel wounds, with signs of blood oozing through. They might see an amputated limb or multiple traumas from the head to the feet. These are heroes who have paid the price of being wounded while serving their country. The general finishes up the small talk and then tells the wounded service member he knows they woke up this morning with no intentions of earning this medal today - he then tells them the story behind the Purple Heart, explaining why Gen. George Washington's likeness is on the medal. The general orders the citation to be read - everyone in the room and those listening outside snap to attention as the order is read. It is a time honored tradition for those who serve in uniform. He bends down and pins the Purple Heart on whatever clothing or piece of material he can find. He hands them the Combat Action Badge if they have not earned one as of yet. If they have a hand he can shake he hands them a coin. He tells them to hurry up and get better so they can get back in the fight. The ceremony is over now. He leaves them with hope and, if they are going to be aerovac to Landstuhl Regional Medical Center in Germany, reassurance of what good care they are going to receive there as well. Sometimes it's hard to walk away. He knows what's in store for them now - a journey of recovery and hopefully a return to duty in their respective services. He starts to leave. The Purple Heart recipient always thanks him. He stops, turns and says, "No, don't thank me. I thank you for your service to your country. Get well soon." Note: From May 1, 2008 to Aug 8, 2008, there have been more than 100 Purple Hearts awarded at Task Force Med by the leadership of the 101st. The mayor of Baqubah cuts the ribbon to re-open a road that has been closed to through traffic for more than a year. Photo by Pvt. Alisha Nye, 14th Public Affairs Detachment. BAQUBAH — A ribbon cutting ceremony recently took place in a western Baqubah neighborhood to reopen a road that had been closed to the locals in the area for more than a year. "This was in the workings since early May," said Capt. Kevin P. Ryan, the officer behind coordinating the opening. "My idea is to transition this area of operations (AO) back to the Iraqi people and to open the roads up, to give something back to the people." To do that, though, he had to work with Iraqi security forces (ISF) to set up some conditions, which were to set up a series of checkpoints, Ryan said. There were three set up. "The three of them lead into the west side of the AO," Ryan said. "From here, Iraqi security forces with their Sons of Iraq brothers can search the vehicles and allow the vehicles to come in. Traffic has not been allowed inside the western part of this AO in over a year, so today was a big day giving something back to the people." Traffic had not been allowed in for so long due to security reasons, Ryan said. "This was the foothold of al-Qaida in Iraq," Ryan said. "So, they banned all traffic due to clearing operations and never allowed traffic to come back in because the situation didn't allow it." Transition of control of the AO from Coalition forces to Iraqi security forces is also being achieved. "The biggest thing is that Western Baqubah is almost retained," Ryan said. "A few more things need to happen and we'll be fully in the retained phase." Ryan said this means that ISF is definitely in the lead. "For the most part, right now, ISF is in the lead and U.S. forces have been over-watching," Ryan said. "The Iraqi dependency on the U.S. is decreasing. That's the way we need to keep going. Today was one of the steps in the right direction…a big step." CAMP KOREAN VILLAGE — Reserve U.S. Marines delivered food supplies for economically disadvantaged families in Rutbah, a town of about 17,000 residents in western al-Anbar province, Sept. 24. According to Navy chaplain Lt. Ray Rivers, these Marines created “Operation Widow” in June to provide non-perishable food items, fresh fruit, milk and juice to widows and their families in Rutbah. KIRKUK — In the spirit of reconciliation and during the observance of the Muslim holy month of Ramadan, Sheik Abdullah Sami Al Asi Obeydi, a Kirkuk Sunni Arab Provincial Council member and tribal leader, was reunited with his cousin, Shakn Abdullah Mushed Al-Rahma Obeydi, after a ten-month separation, here at Forward Operating Base Warrior, Sept. 27. Abdullah Mushed was detained by the Coalition in November for supporting insurgent activity in the province of Kirkuk. The release was facilitated by the 1st Brigade Combat Team, 10th Mountain Division. FOB DELTA — Kazakhstani Soldiers conducted a three-day course here in basic explosives handling and safe demolition techniques for 10 Iraqi Army Soldiers, Sept. 22 - 25. Sergeant Major Justin D. LeHew was born January 2, 1970 in Lima, Ohio and enlisted in the Marine Corps July 11, 1988. After graduating recruit training at Parris Island, SC PFC LeHew reported to Marine Corps Base Camp Pendleton, CA for training as an Assault Amphibian Crewman. Upon completion of school in January 1989, PFC LeHew received orders to report to Company A, 2nd Assault Amphibian Battalion at Marine Corps Base Camp LeJeune, NC and deployed with Company A in the spring of 1989 to Okinawa before moving to H&S Company in the fall of the same year to deploy with UNITAS 31 to South America. Upon returning from South America, LCpl LeHew immediately deployed to Southwest Asia with the battalion in January 1991 and participated in Operation DESERT STORM. Sunday, September 28, 2008 is Gold Star Mother's Day. The day Congress has set aside for our nation to honor those Mothers who have lost a son or daughter in service to our nation. "The Congress, by Senate Joint Resolution 115 of June 23, 1936 (49 Stat. 1895 as amended), has designated the last Sunday in September as "Gold Star Mother's Day" and has authorized and requested the President to issue a proclamation in its observance." President Bush on September 24, 2008 issued a proclamation regarding this years Gold Star Mother's Day. He had this to say in his proclamation. "Throughout our history, the men and women of the Armed Forces have put our Nation's security before their own, doing their duty in the face of grave danger. On Gold Star Mother's Day, we pay solemn tribute to the mothers of the patriots lost serving this great Nation. On this day, we honor our country's Gold Star Mothers and remember their sons' and daughters' noble service and great sacrifice. We offer them our deepest gratitude and our most profound respect, and we ask for God's blessings to be upon them and their families." I went to the American Gold Star Mothers website and found the following picture of a statue, in honor of Gold Star Mothers everywhere. On July 2, 2006 in Kent, NY Peter Allegretta, along with the Putnam County Joint Veterans Council, dedicated a memorial statue to all of the Gold Star Mothers. There is a very interesting story about how this particular statue came to be. When you see a Gold Star Servic Flag hung in a window of a home, know that it is in honor of a veteran who gave their life in service to their country. The organization was started by Grace Darling Seibold back in 1928. Her son, George Vaughn Seibold volunteered at the age of 23 when we entered World War I, in 1917. He requested an assignment in aviation, went to Canada to train and was assigned to the British Royal Flying Corps, 148th Aero Squadron. He was sent to France, where he was killed in aerial combat on August 26, 1918. His body was never recovered. Before the death of her son, while he was serving overseas, Grace volunteered her time to go and care for the wounded soldiers in the government hospital. After the death of her son, Grace realized that keeping her grief to herself was not healthy. She again began visiting the wounded in the hospitals as a volunteer, and in addition she began reaching out to other mothers who had lost a son in service to our country. She organized a group, drawing together these special mothers so that they might find and give comfort to each other and also to care for our wounded soldiers. They cared for the wounded soldiers lying in government hospitals. After much planning, on June 4, 1928, Grace Seibold met in Washington D.C. with other mothers who had lost a son, to establish the American Gold Star Mothers. On January 5, 1929 the American Gold Star Mothers was incorporated under the laws of the District of Columbus. Today, the American Gold Star Mothers carry on this tradition of offering comfort to other mothers who have lost a son or daughter in service, as well as volunteering in many different areas. Next time you see a banner hung with a Gold Star, you will understand the meaning and what it stands for. I urge you to go check out the American Gold Star Mothers. Look at their site, see the pictures they have and read about the activities that they are involved in. Rather than give in to their grief over the loss of their child, these mothers are "perpetuating the noble principles for which they fought and died." The 16th Annual Operation Stand Down Event has been scheduled for Friday, Saturday and Sunday, October 17, 18 and 19, 2008 at a location to be determined. , began a four-month vigil in front of the White House. , where they took aim at Marine recruiters, telling them, they were not welcome. CNN News, Drash (2008) That battle erupted after Berkeley City Council approved a measure urging the Marine recruiters to leave their downtown office stating that if the recruiters chose to stay, they were doing so as “uninvited and unwelcome” intruders. During all this, outside the recruiting station, a handful of protesters along with Code Pink camped out, strumming guitars as they sang anti-war songs and held signs against the Iraq war. CNN News, Drash (2008) Another slap in the face for the recruiters was that Berkeley City Government actually encouraged Code Pink by providing them a free parking space to hold their not so peaceful demonstrations. WASHINGTON, Sept. 26, 2008 – While things are tense and dangerous in Pakistan, “that doesn't mean the sky is falling,” the chairman of the Joint Chiefs of Staff said today. Navy Adm. Mike Mullen offered the reassurance during a Pentagon news conference. He said the cross-border fire incident yesterday into Afghanistan does not mean America should over-react. A Pakistani military border checkpoint fired on two U.S. Kiowa helicopters flying inside Afghan airspace, NATO and U.S. officials said. A ground-based American patrol then exchanged fire with the checkpoint, they said. The chairman urged calm during the tense situation. “It's time to recognize that we all – Pakistani, Afghan, American and others in the region – share a stake in a safe and secure Pakistan,” he said. Mullen said he believes all concerned can work out the problems. The Pakistanis face a growing and increasingly lethal insurgency on the border and inside their country, the chairman said. The Taliban and al-Qaida groups threaten the security of Pakistan’s newly elected government, and the leaders are aware of this threat, he said. Mullen has visited his Pakistani counterpart, Army Gen. Parvez Kayani, half a dozen times this year. “Despite the violence of the last few days, it's why I remain convinced that Pakistan's military leaders understand the nature of the threat and are working hard to eliminate it,” he said. But this will take time, Mullen said. The Joint Staff is working with other agencies on a review of U.S. military strategy for the entire border region, “not simply to identify problems, but to find multilateral solutions,” Mullen said. The chairman was encouraged by Afghan Defense Minister Wardak’s suggestion for a joint Afghan-Pakistani force to patrol the border. All sides realize that no one gains from misunderstandings, harsh rhetoric or open conflict, Mullen said. NATO, Afghanistan and Pakistan cooperate in the Tripartite Meetings at the highest levels all the way to liaison between company level officers, Mullen said. The Afghans, Pakistanis and NATO are establishing five border cooperation centers to help eliminate the confusion. One is operating in Nangahar province, Afghanistan, and four more are scheduled for other spots on the border. Mullen and Kayani have discussed the continuing commitment to reduce conflicts. WASHINGTON, Sept. 25, 2008 – The aroma of roasted lamb rubbed with saffron wafts from a bazaar that begins to empty as the sun sinks between a pair of minarets. A soldier walks past a veiled woman, her eyes peering through a thin slit in an ink-black headscarf. The call to prayer beckons from a lone mosque in the parched, desert town. "You feel like you're going to die: Your heart's beating out of your chest, your blood pressure's going up and you want to just get away from it all," Army Col. Michael J. Roy, a medical internist and director of Military Internal Medicine who oversees Virtual Iraq, said of the treatment. "But you can make it through it. And you realize you're going to be OK."
Though it’s still in the early test phases, Roy and a team of therapists at Walter Reed hope to show the medical community that virtual reality exposure therapy can be more effective than its classic counterpart. "We're deliberately creating some anxiety," Roy said. “To once again witness a battle buddy getting shot, or smell the residue of a roadside bomb dredges up memories more quickly and in greater detail than merely talking. From the back of this machine runs cables that stick to the patient, monitoring blood pressure, heart rate, and levels of perspiration and respiration. The virtual landscape builds piecemeal, and the therapist keeps watch of the physiological readouts as new cues, like gunshots and mortar explosions, are added incrementally. "Some troops said, 'Hey, I'm walking through here but I don't have a gun in my hand. When I'm on patrol, I've got a gun in my hand,’" said Roy, explaining why troops have the choice of a handheld joystick or lifelike assault rifle with built-in controls -- a kind of semi-automatic security blanket. "My mind is saying, 'Get up, you fool!’ But my body's saying, 'No. I'm not going to do it.'" WASHINGTON, Sept. 25, 2008 – The 132 strikeouts Major League pitchers threw during baseball games played on Patriot Day were bittersweet. Generally, strikeouts are a pitcher’s goal. But for those who participate in the Strikeouts for Troops program, the words, “you’re out” equal cold, hard cash to support wounded warriors. “The men and women of the military continually go above and beyond for our country so USAA is pleased to contribute $100,000 to Strikeouts For Troops,” said Barbara Gentry, USAA’s senior vice president of community affairs. “We are extremely proud of the work Barry Zito is doing and our association with Strikeouts For Troops. USAA presented its donation to Strikeouts For Troops players Jake Peavy of the San Diego Padres and Matt Cain of the Giants on Sept. 14, as part of the Padres “Salute to Veterans” game. Zito, who started in that game, could only watch the presentation as he warmed up. The 30 servicemembers he’d invited from Balboa Naval Medical Center kept him in good company. WASHINGTON, Sept. 25, 2008 – Pakistani soldiers manning a border checkpoint fired on U.S. helicopters flying in Afghan airspace today, Defense Department officials said. The aircraft were on a mission as part of the NATO-led International Security Assistance Force. The OH-58 Kiowas never intruded on Pakistani airspace, Pentagon spokesman Bryan Whitman said. The incident occurred near the Pakistan border in the Afghan province of Khowst, NATO officials in Kabul said. NATO officials are speaking with Pakistani military officials to get to the bottom of the situation. “Over the past several weeks and months, we’ve been doing things to enhance this coordination along the border,” Whitman said. NATO, Afghanistan and Pakistan are working together to establish coordination centers along the border. One already is operational in Nangarhar province at Camp Torkham. The centers will work to prevent misunderstanding among the three entities, officials said. Al-Qaida and Taliban insurgents seek to exploit the border area where the terrain is difficult and it is easy to make mistakes, NATO officials said. However, the Taliban do not have helicopters, so it is unclear what message Pakistani troops believed they were sending, officials said. This is the first time Pakistani soldiers have fired on coalition aircraft, they said. The Pakistani embassy had no immediate comment, Whitman said. Pakistan remains an ally and a good partner in the global war on terrorism, he said. BAGRAM AIR FIELD, Afghanistan (Sept. 25, 2008) – Soldiers from the 440th Blood Supply Detachment held a blood-screening Sept. 25 in the Combined Joint Task Force-101 Joint Operations Center at Bagram Air Field, Afghanistan, drawing almost double the donors as during an average day. This particular screening is in addition to a regular screening which takes place Wednesdays at Craig Joint Theatre Hospital at Bagram. These screenings will aid in identifying and filling matching blood types in case of a mass-casualty event. And the troops seemed happy to have the opportunity to make this small sacrifice—small, but one that may save a life. BAGRAM AIR FIELD, Afghanistan (Sept. 22, 2008) – Those who reside in the smaller villages of southern Afghanistan have limited or no electricity. Even though rows of power lines stretch for miles across the desolate sands of the region, major cities are the only ones to actually benefit from these sources. U.S. forces joined with Afghan National Security Forces and the International Security Assistance Force late last month to participate in an operation that would lead to the eventual establishment of power for the smaller communities. British soldier provides security for a convoy of fuel trucks at an over watch position on an International Security Assistance Force mission on July 20, 2008. The RAF routinely patrols the area surrounding Kandahar Air Field to prevent rocket attacks to the base. – The Department of Veterans Affairs (VA) today announced changes in the way VA will evaluate traumatic brain injuries (TBI) and burn scars for purposes of determining the appropriate level of compensation veterans receive for these injuries. “These important regulatory changes will allow VA decision makers to better assess the consequences of these injuries and ensure veterans are properly compensated for their residual effects,” stated Secretary of Veterans Affairs Dr. James B. Peake. VA has revised the Disability Rating Schedule in light of current scientific and medical knowledge in order to provide VA employees with more detailed and up-to-date criteria for evaluating and compensating veterans with these injuries. Two groups of veterans may be affected by these changes. The first group includes veterans who will be awarded disability compensation for TBI and burn injuries in the future. The second group includes veterans already receiving compensation for these injuries whose disabilities are reevaluated under the new criteria. The effects of blast injuries resulting from roadside explosions of improvised explosive devices have been common sources of injury in the conflicts in Iraq and Afghanistan and appear to be somewhat different from the effects of trauma seen from other sources of injury. As of September 2008, there are more than 22,000 veterans being compensated for TBI, of whom more than 5,800 are veterans of the conflicts in Iraq and Afghanistan. Traumatic brain injuries result in immediate effects such as loss or alteration of consciousness, amnesia and sometimes neurological impairments. These abnormalities may all be transient, but more prolonged or even permanent problems with a wide range of impairment in such areas as physical, mental, and emotional/behavioral functioning may occur. More than 90 percent of combat-related TBIs are closed head injuries, with most servicemembers sustaining a mild TBI or concussion. Difficulties after TBI may include headache, sleep difficulties, decreased memory and attention, slower thinking, irritability, and depression. To view the entire regulation published today in the Federal Register, go to: www.federalregister.gov/OFRUpload/OFRData/2008-22083_PI.pdf. For more information about VA disability compensation, go to www.va.gov or call 1-800-827-1000. – Veterans with amyotrophic lateral sclerosis (ALS) may receive badly-needed support for themselves and their families after the Department of Veterans Affairs (VA) announced today that ALS will become a presumptively compensable illness for all veterans with 90 days or more of continuously active service in the military. This information was forwarded to me and after reading this announcement I felt it was an opportunity that others should be made aware of. What caught my eye in particular is the keynote speaker, Howard Chappel. Fellow 26'ers and others (military or non military)â¦ This year's 26th Marine's annual reunion will be at Atlanta Georgia and is drawing near (see www.26thMarines.com ) for additional details. This year we have a special treatâ¦ one of our newest members, Howard Chappel, a 26'er (2/26), stormed the beaches of Iwo Jima in 1945, was wounded and received the Purple Heart in that historic action. Howard will be our keynote speaker at this year's banquet. Therefore, this year the registration and banquet is open to all 26'ers, as well as any friends and relatives, to listen to our newest member who again, was with the 26th Marines and stormed the beaches of Iwo Jimaâ¦ was wounded and received the Purple Heart on Iwo Jima, will be our keynote speaker at this year's banquet in Atlanta Georgia. You should consider coming along with the entire family (again, or anyone you know who may be interested). You/they can come as a guest (in other words don't have to be a member or need to join) and can attend the banquet or the entire event if desired, and all you would have to pay is the registration fee and banquet fee, again see www.26thMarines.com to participate in this little nugget of history. Having Harry talk about his experience is something you normally only see on television's History Channel. We will have the real deal there; live, in person, sharing his Iwo Jima experience with usâ¦ quite a treat!!! This indeed will be something special. Any interested person should contact G. H. "Sonny" Hollub, Jr. at ghollub@austin.rr.com or 512-312-4168 to make reservations or to acquire additional details. We need to have a final attendance count before October 1, 2008.
during an Anti War rally. “A Chester County Peace Movement protester arrested after slapping a woman journalist twice while she was trying to videotape the exchange between two opposing groups. Alan Gray, News Blaze (2008). After police were shown who the attacker was, the man was told to come forward by an officer. But he became “uncooperative and belligerent”, refusing to go with the officer”. Gray, News Blaze (2008) He then pushed the officer who was talking with him, so the officer's partner took him down to be handcuffed where he continued resisting. During this scuffle, other protesters began surrounding the officers. Some of them getting as close as a foot away from the arresting officers. The startled journalist who was slapped by the man said; "I pride myself in my professional conduct at this rally and to be struck twice by a "peace" protester, who has been present since the time I began covering this rally, is truly disturbing." On September 10, 2008, the Department of Defense released the Recruiting results for August 2008. WOTN is happy to report that recruiting is strong: All Services met recruiting goals for August and are on track for meeting goals for FY 2008 which ends at the end of the month. Both the USMC (by 18%!) and Active Army exceeded August goals and only the Army Reserve fell short by a small percentage outweighed by the Active Army overage. Those entering the Ground Forces (Army/USMC) demonstrated a greater propensity for Active duty while those entering the Air Force/Navy flocked more towards part-time positions. KIRKUK — More than 3,000 Iraqis, including 58 women, joined the ranks of the Kirkuk province’s police force during a graduation ceremony held Tuesday at the Kirkuk Police Academy. “This is the direct result of the combined efforts of our Coalition friends and the Ministry of the Interior,” Baker said. Baker pointed out the number of high-ranking Multi-National Division - North leaders in the audience, including U.S. Army Maj. Gen. Mark P. Hertling, commanding general, MND-North; Brig. Gen. James C. Boozer Sr., deputy commanding general-operations MND-North; Brig. Gen. Tony Thomas, assistant division commander-support MND-North; and Col. David Paschal, commander, 1st Brigade, 10th Mountain Division. During the ceremony, Police Academy instructors carried a wreath in remembrance of members of the police force who died in the line of duty. In his remarks, Iraqi Brig. Gen. Kawa Garib Abdul-Rahman, commandant of the Police Academy, said the sacrifices of the police force’s martyrs would never be forgotten and that their dedication to maintaining peace and providing security to the people of the Kirkuk province would be continued in the efforts of the newest members of the police force. New Multi-National Force - Iraq Commander Gen. Ray Odierno discusses the direction of USF-I under his command and the continuation of successes his predecessor was able to achieve. WASHINGTON — The partnership between the Coalition and the Iraqi government has been enormously productive and is continuing to pay dividends, Brig. Gen. David Perkins, a Coalition spokesman in Baghdad, said. Perkins and Iraqi Army Maj. Gen. Qasim Atta spoke about a range of subjects during a news conference yesterday. FOB KALSU — Members of the Iraqi security forces delivered humanitarian aid supplies to an Iraqi displaced persons camp south of Najaf, with the help of Coalition forces and the Najaf mayor, Sept. 23. Iraqi Soldiers belonging to the 3rd Battalion, 30th Brigade delivered the supplies from the newly-opened Najaf InternationalAirport with the help of the Najaf Provincial Reconstruction Team and the 30th Military Transition Team. WASHINGTON — President Bush Tuesday applauded the leadership of Iraq as he met with Iraqi President Jalal Talabani and other leaders of the Iraqi Coalition at the United Nations General Assembly in New York. Bush attributed successes in democratizing the country to the sacrifices of both the Iraqi people and those countries that have contributed to the multi-national efforts there. •This edition features stories on an integration of women graduates into the Iraqi Police force. • This edition features a stories on Operation Omens of Prosperity, females graduating from Iraqi Police training and the Big Noize concert. BALAD, Iraq – Iraqi Security Forces captured two suspected al-Qaeda in Iraq terrorists, five 1920 Revolutionary Brigade cell members, and a Jaysh al Islami member and uncovered a weapons cache in separate operations in Iraq, Sept. 19-21. BAGHDAD – Coalition forces detained one wanted man and four additional suspects during operations targeting al-Qaeda in Iraq’s foreign terrorist facilitator and leadership networks Tuesday. Forces working alongside the Iraqi army in Kirkuk captured a wanted man during an operation targeting AQI’s foreign terrorist facilitation network. Intelligence reporting suggests the man has connections to senior facilitators in neighboring countries. Two suspects were apprehended in a town west of Mosul during an operation targeting a foreign terrorist facilitator. In an operation near Shu Ayrat, about 46 km south of Mosul, Coalition forces detained two more suspects while targeting AQI senior leadership nodes, including a wanted man believed to have multiple associations with the organization’s leadership within the region. Coalition forces also found weapons and body armor at the location. 1st Lt. Thomas J. Brown, 26, of Burke, Va., died Sept. 23 in Salman Park, Iraq, of wounds suffered when his patrol came under small arms fire during dismounted operations. He was assigned to the 2nd Battalion, 6th Infantry Regiment, 2nd Brigade Combat Team, 1st Armored Division, Baumholder, Germany. , used bike locks and PVC pipe to chain themselves to the doors of Army and Navy recruiting offices, and would not talk to anyone from the police or reporters. University and Minneapolis police were assisting with crowd control, on bicycles and horseback when over 200 people joined together for the rally and march around Macalester’s campus that day, meant to mark the five-year anniversary of the war in Iraq. “It seems like the numbers of protesters are dwindling down as compared to prior years” according to University police officer Chief Greg Hestness. Previous anniversary protests attracted many more students. Two years ago, police had to arrest six students after they threw red paint all over the Army recruiting office during protests, and last year, police made no arrests.